Arguably the greatest movie musical of all time, Singin’ in the Rain, in its sixty-sixth year of existence, continues to prove that a Technicolor musical comedy all about the transition from the silent film era to the talkie era has the power to hold up in this ever-changing digital age. 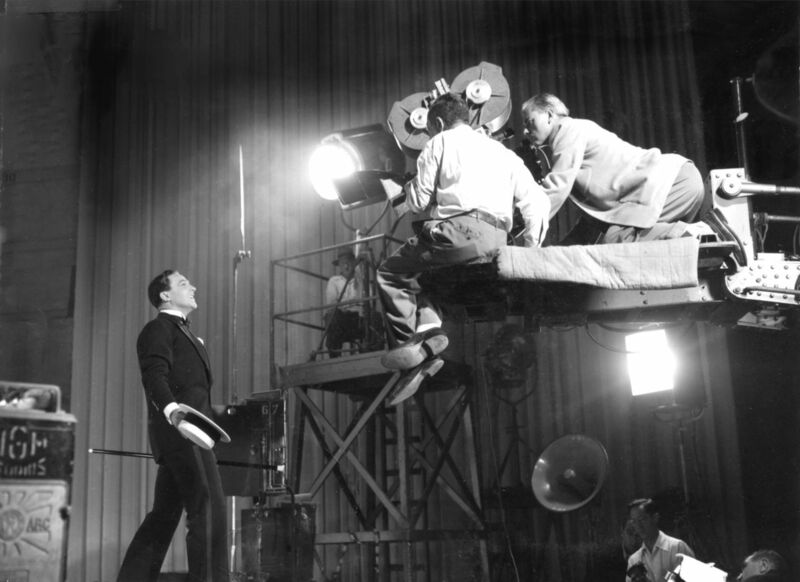 Most of the songs in the film, which was released in 1952, were not original, but were popular songs released between the late 1920s through the late 1930s, when the film industry in Hollywood was (IRL) introducing “all-talking, all-singing, all-dancing” motion pictures. Only two songs were written for the film: “Make ‘Em Laugh” and “Moses Supposes”. 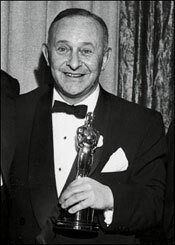 The idea of making Singin’ in the Rain came from the mind of longtime MGM producer Arthur Freed, who produced many of the most successful musicals of the Golden Age of Hollywood, including Meet Me in St. Louis (1944) and An American in Paris (1951), which won the Oscar for Best Picture in 1952. All of the songs, save for the two new ones written by Betty Comden, Adolph Green, and Roger Edens (who wrote the music for “Moses Supposes”), had been written by Freed and Nacio Herb Brown in the ’20s and ’30s for a variety of films. The first musical number in Singin’ in the Rain is “Fit as a Fiddle (And Ready for Love)”, in which Gene Kelly and Donald O’Connor are shown in a flashback montage…….was originally written by Arthur Freed, Al Hoffman, and Al Goodhart and released in 1932. The song was first heard theatrically in College Coach (1933). The second video below is a recording of the song performed by Ambrose and his Orchestra in ’33. The song “All I Do Is Dream of You” was written by Nacio Brown Herb (music) and Arthur Freed (lyrics) and published in 1934 for the Pre-Code romantic drama film Sadie McKee, starring Joan Crawford. Gene Raymond is featured in the second video below singing it to Crawford. Singin’ in the Rain took the song and made it the fun number it became in the film. The “Beautiful Girl Montage” number is pieced together by several popular tunes until settling into the song “Beautiful Girl”. These songs include “I Got a Feelin’ You’re Foolin” (originally heard in Broadway Melody of 1936), “The Wedding of the Painted Doll” from The Broadway Melody (1929), and “Should I?” from Lord Byron of Broadway (1930). I’m not sure exactly when “Beautiful Girl” was written and first released, but it was performed in the 1933 Pre-Code film Stage Mother, so I’d assume it was written not long before. “You Were Meant for Me” was published in 1929 and first showcased in The Broadway Melody, The Hollywood Revue of 1929, and The Show of Shows – all released in ’29. The second video is a scene from The Hollywood Revue of 1929, in which Conrad Nagel (dubbed by Charles King, who performed also performed the song in The Broadway Melody) croons it to Anita Page. Ahh, now we get to the titular song and the movie’s most iconic imagery. “Singin’ in the Rain” was published in 1929 and first performed by Doris Eaton Travis in The Hollywood Music Box Revue (1929). The song became a hit and was recorded by all kinds of popular artists of the day, including the once mega-popular singer and ukulele player Cliff Edwards, who also performed the song in a musical number with the Brox Sisters in The Hollywood Revue of 1929. Judy Garland covered the song in the 1940 musical Little Nellie Kellie. She kills it and this version is pretty (and criminally, in my opinion) obscured by the most popular version of it. “Would You?” is the song that we see Kathy dubbing for Lina in The Dueling Cavalier. I couldn’t find any written history for the song, but it was performed by Jeanette MacDonald in the musical drama San Francisco (1936). The Broadway Melody ballet sequence, spanning roughly fifteen minutes, is comprised of the songs “The Broadway Melody” from The Broadway Melody (1929) and “Broadway Rhythm” from Broadway Melody of 1936. “You Are My Lucky Star” was written for Broadway Melody of 1936, which was performed by Frances Langford, Eleanor Powell (dubbed by Marjorie Lane), Roger Edens, and Robert Taylor. Well, there you have it. If it hadn’t been for Singin’ in the Rain, I wonder if many people would remember Freed and Brown’s songs at all. My guess? Of course, probably not. While the film’s versions of these tunes remain by far the most popular, it’s worth learning about and watching the versions that inspired them – lest we ever begin to forget about the originals. Thanks so much for the great clip comparisons and how different arrangements can make a song sound completely different. And thank you for reading (and watching)! Thanks for sharing your research and all this great music. I didn’t realize that most of the songs in this musical were “recycled”, but still sounded new. You’ve given me a new appreciation for this film. Thank you for reading this, and thank you for the kind words. I so appreciate it and am glad I could give you some new insight.